Experience the greatest African adventure with a Big 5 safari in the Kruger National Park, the scenic landscapes of Cape Town and the Cape Winelands, the thundering Victoria Falls, the diverse wildlife of the Chobe region, the natural spectacle of the wildebeest migration in East Africa, rounding it all off with an exotic island holiday in Zanzibar. Encompassing the best Africa has to offer, this is truly an epic journey. 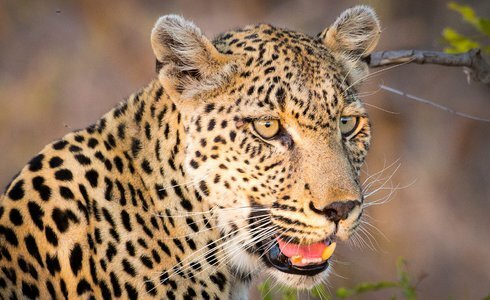 Your Kruger tour begins on stepping off the plane and onto Big 5 territory. The game ranger will be waiting at the landing strip to transfer you to the lodge. Days on a Kruger Safari start off early, heading out into the majestic African bush on a morning game drive that will put you right in the heart of the African wilderness. Accompanied by skilled rangers, set off in open 4x4 safari vehicles in search of the Big-5 (rhino, leopard, elephant, lion and buffalo). There is a large variety of other wildlife as well, to keep you enticed. Late afternoon brings with it another game drive and the chance of seeing some of the rarer nocturnal animals. Following three nights of Kruger Park safari bliss, transfer by road to Mpumalanga airport for the connecting flight to Cape Town. Upon arrival at Cape Town Airport a Safari365 representative will meet you and transfer you to the hotel. Dominated by Table Mountain and fringed by the blue waters of the Atlantic Ocean, Cape Town is one of the most beautiful cities in the world. 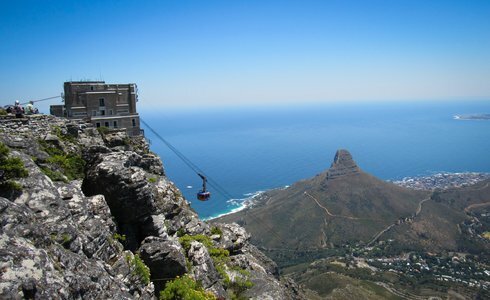 An ideal South African holiday destination that has a host of top tourist attractions to enjoy. Your stay in the ‘Mother City' which includes trips to the Two Oceans Aquarium, Robben Island, Kirstenbosch Botanical Gardens, the Cape of Good Hope Nature Reserve, the Malay Quarter and much more. 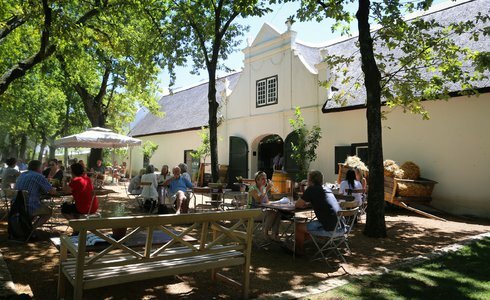 A tour to Cape Town wouldn't be complete without a visit to the scenic Cape Winelands. Set amidst majestic mountains and lush vineyards, the Cape Winelands is the largest wine producing region in South Africa. Spend the day visiting world-famous vineyards, sampling fine wines and learning about the intricate processes used to produce them. After three stunning days depart Cape Town by plane to Johannesburg and onwards to Victoria Falls. Please note: We can also plan this package so you have a rental vehicle during your stay in Cape Town. Catch the connecting flight to Victoria Falls Airport and 1.5 hours later, touch down in Zimbabwe, right next to the majestic Victoria Falls. A Safari 365 representative will meet you and transfer you to the lodge. Victoria Falls is one of the most magnificent spectacles of nature and considered one of the seven wonders of the world. 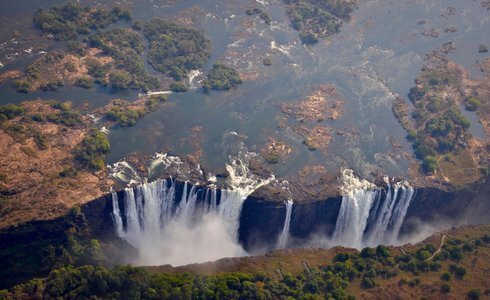 On the Victoria Falls tour explore all that the area has to offer and enjoy activities such as helicopter flips, micro lighting, abseiling, bungee jumping, elephant back safaris, Zambezi River cruises and a cultural tour to Mukuni Village. Please note: no overnight stop in Johannesburg will be necessary en route to Victoria Falls. After spending 3 glorious days at Victoria Falls, travel for 1.5 hours by road to Your lodge. On the Chobe tour, the days will be spent exploring the Chobe National Park, which has one of the highest concentrations of game found on the African continent. Track the Big 5 (lion, elephant, leopard, buffalo and rhino) on game drives in open 4x4 safari vehicles and cruise along the Chobe River on specially adapted motorboats, while enjoying refreshing sundowners. Fishing excursions for the mighty Tiger fish are also available at an additional cost. After the end of the Chobe Park trip, transfer to Victoria Falls Airport and onwards to Johannesburg airport ( an overnight may be necessary at Johannesburg depending on flight availability). 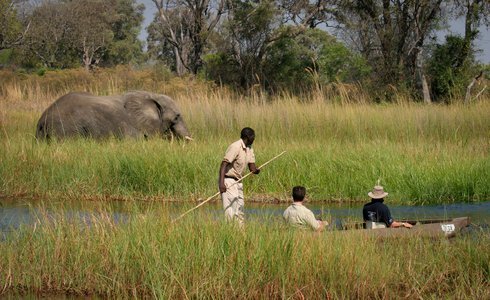 Please note: During the Botswana excursions to Chobe National Park, many of our clients elect to add two nights in the famous Okavango Delta for a birding and mokoro (dugout canoe) safari experience. This is an easy extension and if time allows, and justifies the additional cost. Fly back to Johannesburg, to connect with the flight to Nairobi (Kenya). Upon arrival at Jomo Kenyatta International Airport, prepare for the connecting flight to Kilimanjaro International Airport (Tanzania). Overnight in the town of Arusha, which lies at the foot of Mount Meru and close to Mount Kilimanjaro. 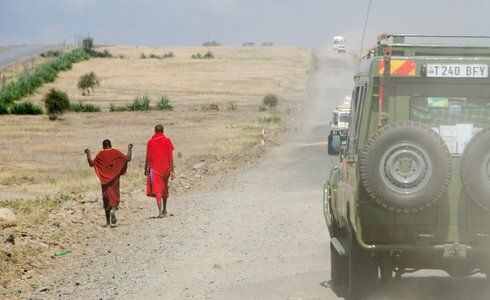 Please note:Transport for the Tanzanian portion of this travel itinerary is with a private driver/guide who will accompany you throughout Your safari using a Landcruiser vehicle. Flights can be arranged at additional cost. 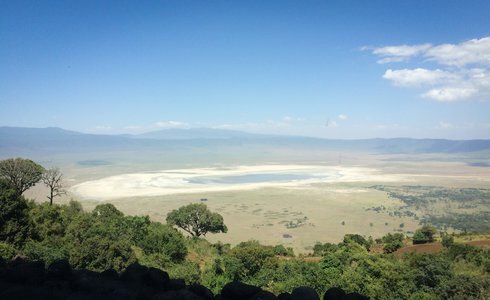 The first leg of East African segment is in the Lake Manyara National Park. Flamingos, tree climbing lions, hippos and a variety of plains game can be seen inside this park. Upon arrival at the Manyara safari camp, marvel at the stunning views of the Manyara National Park, Rift Valley, Ngorongoro highlands and on clear days even Oldonyo Lengai - a sacred mountain to the Maasai. The day starts early for departure to the camp situated in the Ngorongoro Conservation Area. This unique location, between December to April, is witness to the annual Wildebeest Migration. The Big 5 (elephant, rhino, lion, buffalo and leopard) are also resident in the area all year round. After a quick breakfast embark on a tour of the magnificent Ngorongoro Crater -a World Heritage Site. Regarded as the ‘Eighth Wonder of the World', this collapsed volcanic caldera covers an area of 8300 square kilometres and encompasses several different ecosystems, including volcanoes, grasslands, waterfalls and mountain forest, forming its own unique ecosystem. After the Ngorongoro Crater tour return to camp in time for a delicious dinner. Another early start for a drive to the Serengeti. On arrival in the Serengeti, you will be met by a guide and transferred to the Serengeti safari camp, situated in Tanzania's Serengeti National Park. Arrive at the camp in time for lunch. 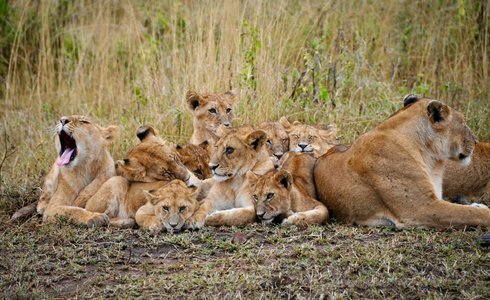 Travel onto the Serengeti Plains in search of the national park’as famous big cats. As evening approaches, return to camp for a sundowner around the fire and a delicious dinner served under the African stars. 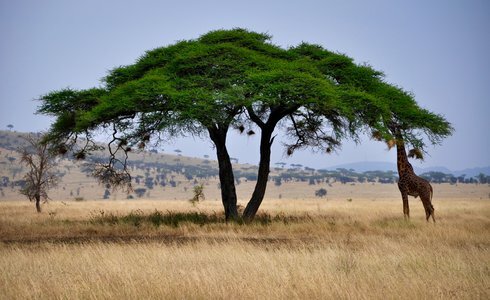 The Serengeti National Park is one of Africa's most iconic safari destinations and is famed for its wildlife and the great Wildebeest migration. 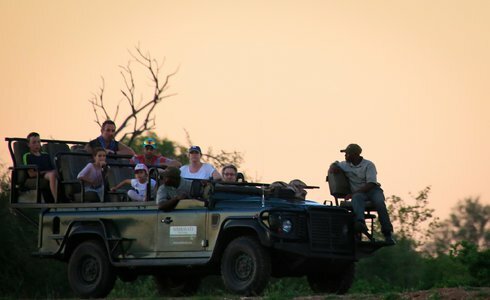 This safari destination compliments Kruger National Park for a complete safari experience, as the views and vistas are expansive, and the amount of wildlife defies belief.Please note: As the Serengeti is such a vast location and different seasons are optimal in different areas, dates of travel determine the camps and lodges utilised. Having experienced a safari in Kruger it may be more comfortable on a ‘safari’ experience, a luxury mobile tented accommodation is recommended to truly be in touch with the Serengeti. After breakfast, travel towards Kogatende Airstrip - enjoying a last game drive en route - for Your flight to Zanzibar. On arrival at Zanzibar Airport you will be met by a representative and transferred by road to the Zanzibar holiday accommodation. 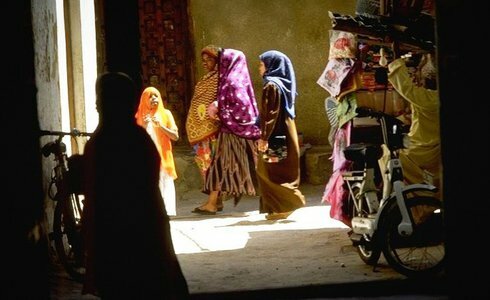 On the Zanzibar holiday, casually explore Stone Town, either enjoying a spice tour or a historical tour. 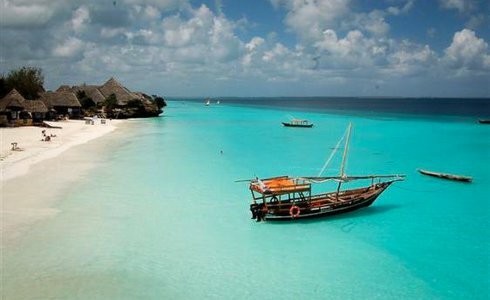 This morning you will be transferred to the South West Coast of the island to Your Zanzibar beach resort. On Your Zanzibar holiday, Your days will be spent as you wish. Enjoy activities such as snorkelling, scuba diving, wind surfing, swimming, fishing trips, sailing in a traditional dhow, guided tours of Jozani Forest and trips to a Spice Plantation. In the evenings make Your way to the restaurant for dinner and indulge in delicious Zanzibari cuisine. Depending on the flight from Zanzibar, depart the lodge either before or after lunch, and travel to the airport. Please Note: This travel itinerary is designed to showcase the highlights of Southern and East Africa and for people who Africa has always been a ‘bucket list' destination. There is a large focus on ‘safari' and seeing the quintessential safari destinations. This travel itinerary can be run in reverse, and utilises the gateway airports of Johannesburg and Nairobi for international connections.